Wintergreen is a hybrid couch, blue-green in colour, with a fine, dense, soft leaf texture and reasonable colour retention under low winter temperatures. Wintergreen has a deep root system and a hard wearing surface with a soft leaf texture. Wintergreen is suitable for residential and commercial lawns where a soft formal appearance is required. Wintergreen is used for high wearing areas such as golf courses, tennis courts and bowling greens where close mowing is required. Parks and gardens, sports ovals, soil stabilisation areas, roadsides and urban in-fill areas are other areas where Wintergreen can be used. Wintergreen should ideally be mown every 10-14 days at a height of approximately 10-15mm during summer and in winter mow every 3-5 weeks and raise the mowing height to approximately 15-20mm. 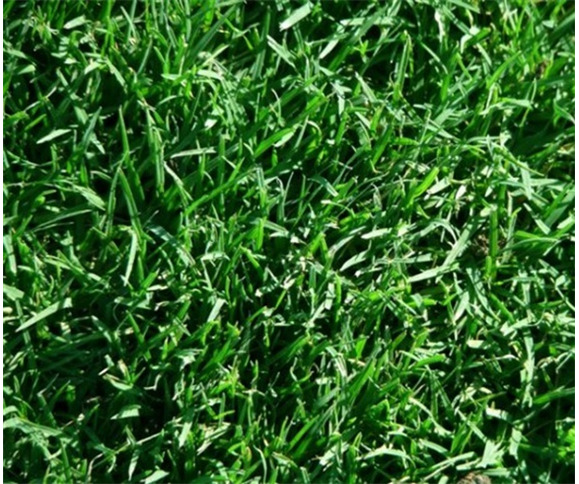 In spring your Wintergreen lawn (as with any lawn) should be mown very low and fertilised. This removes the thatch that has built up in your lawn and allows new stolon growth. An even surface of 75-100mm of a well drained sandy loam prepared before laying is important and annual to bi-annual renovation may be necessary, ideally during the spring or autumn months. Fertilising of couch varieties is necessary to keep the lawn at optimum health. A summer fertilisation regimes should alternate between a chemical and organic fertiliser applied every 6 weeks at the equivalent rate of 10kg per 100m. In winter a single application of either a slow release fertiliser or organic type fertiliser will be adequate. Wintergreen will require frequent watering during establishment but thereafter is drought tolerant once well established. Watering at medium levels will maintain a healthy green appearance. For information on Water Restrictions in your area, go to www.sydneywater.com.au .